Meeting a client's time constraints and data reporting requirements is as important as providing quality data. Katahdin Analytical Services helps clients plan, schedule, and interpret methods and data at any time throughout the analytical process. 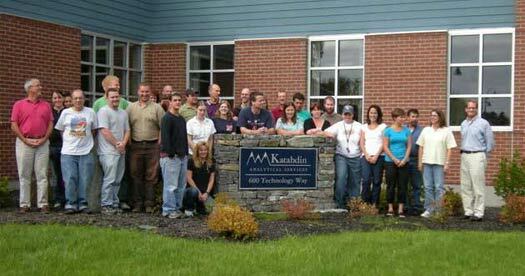 Katahdin assigns a Project Manager to every client. The Project Manager acts as the client's single point of contact with Katahdin so that expectations and communications remain well-defined and consistent, which is particularly important when rush work is required. Our project managers have worked in the laboratory and have in-depth knowledge of laboratory procedures and regulatory requirements. Together with our client services team, they are able to expedite pricing requests, in-house sample progress, data transmittal, and any needed technical consultation.